Welcome to the "Resource Links" section for adults that work with youth. Here you'll find a listing of major league resource links. The 21st century brings with it a gazillion resource websites for youth & family ministry. You do not have time to sort through them all. In their fourth decade of ministry, Gary & Laurie have selected the following sites to share with you because these folks are doing wonderful ministry. Yep, each of these sites are comprehensive in and of themselves. It will take time to go through them; however, they are worth the time investment. If you are ever in search of resource materials, or a workshop, or conference to attend, you will not be disappointed. Come back often and work through the best of the best! A Note About Theology: The links listed below come from various Christian denominations and traditions. Gary & Laurie search for what works. Yes, often times they use materials from Christian ministries that need to be tweaked to fit their purpose. However, they do that anyway, even with their own denominational materials. So, look through the recommendations and take what will work best in your locale, adjusting the lessons and activities as needed. With more than a million hits a month, pluggedin is a ministry designed to shine a light on the world of popular entertainment while giving families and youth workers the essential tools they need to understand, navigate and impact the culture in which they live. ﻿Should your youth go see the new movie? Not sure about a band they listen to or a concert they want to attend? Concerned about content in a TV show? pluggedin.com will give you facts and commentary so you can make an informed decision. Group.com, simplyyouthministry.com and Youthministry.com are all part of the Group Publishing Family of resources. Get acquainted with Thom and Joanie Schultz. Decades ago they were the pioneers of resources for children’s, youth, and family ministry. Still going strong they have developed a network of websites and resources to meet the needs in ministry to young people. Their resources cover the gambit for Sunday School, VBS, Retreats, Mission Trips, Work Camps, Magazines, Conferences, DVD’s, CD’s, Background Check systems, Training Events, Webinars, Blogs and more. If your church does it…then Group has resources to help. "Ministry Resources", "Training and Events", and "Mission and Outreach" and you will find oodles of great resources. Be sure to check out simplyyouthministry.com and Youthministry.com! John Roberto is president of Lifelong Faith Associates, editor of the journal Lifelong Faith. John works as a consultant to churches and national organizations, teaches courses and conducts workshops in faith formation, and has authored books and program manuals in faith formation. He is a leader in the intergenerational Faith Formation Movement. If you get a chance to attend a workshop led by John--Do IT! Gary has attended John's presentations and conferences multiple times times. John has much of this intergenerational faith formation and 21st century faith formation figured out. With lots of research to back it up! 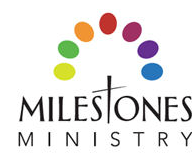 Milestone Ministry supports homes and congregations in the important work of faith formation and outreach. They have a proven way to get parents praying over children at the altar on a regular basis. We specifically love their Milestone concept and their Taking Faith Home bulletin insert. And yep, we purchased the Milestone Ministry Manual. Way worth it!